The Foreign Correspondents’ Association of East Africa (FCAEA) and the Foreign Correspondents’ Association of Uganda (FCAU) are deeply saddened and concerned about the death of freelance journalist Christopher Allen who was killed while reporting on the conflict in Kaya, South Sudan on Saturday. Today the Foreign Correspondents’ Association of Uganda (FCAU) celebrates World Press Freedom Day, joining journalists and supporters of press freedom to defend the media from attacks on our independence and highlighting the central role of freedom of expression and the right to information in advancing peaceful, just and inclusive societies. The Foreign Correspondents’ Association of Uganda (FCAU) will tomorrow, May 3rd, celebrate World Press Freedom Day (WPFD), an occasion that reminds us of the importance of free media and of access to information for all people. FCAU stands in solidarity with journalists and media organizations in Uganda and elsewhere. The Foreign Correspondents’ Association of Uganda (FCAU) is pleased to announce the Uganda Press Photo Award 2016, the Award’s fifth edition. Founded by FCAU in 2012, the Award recognises and promotes Ugandan photojournalism, and also includes training and workshops for Ugandan photojournalists. The Uganda Press Photo Award is organised in partnership with Friedrich Ebert Stiftung. 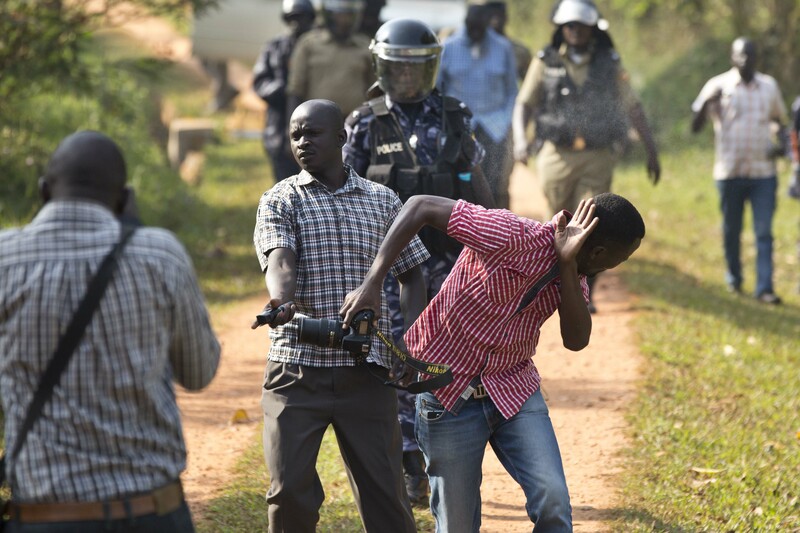 The Foreign Correspondents’ Association of Uganda (FCAU) is concerned over a recent series of abuses aimed at journalists covering Uganda’s 2016 general election. FCAU recognizes Uganda as a country with a vibrant media landscape and with room for expression of diverging opinions; we call upon the authorities to safeguard this status by respecting the freedom of journalists both foreign and local. FCAU represents more than thirty journalists, Ugandan as well as foreign, who work for foreign media houses. FCAU is affiliated to the Nairobi-based Foreign Correspondents’ Association of East Africa (FCAEA).